Wellness is an active process of becoming aware of and making choices toward a healthy and fulfilling life. 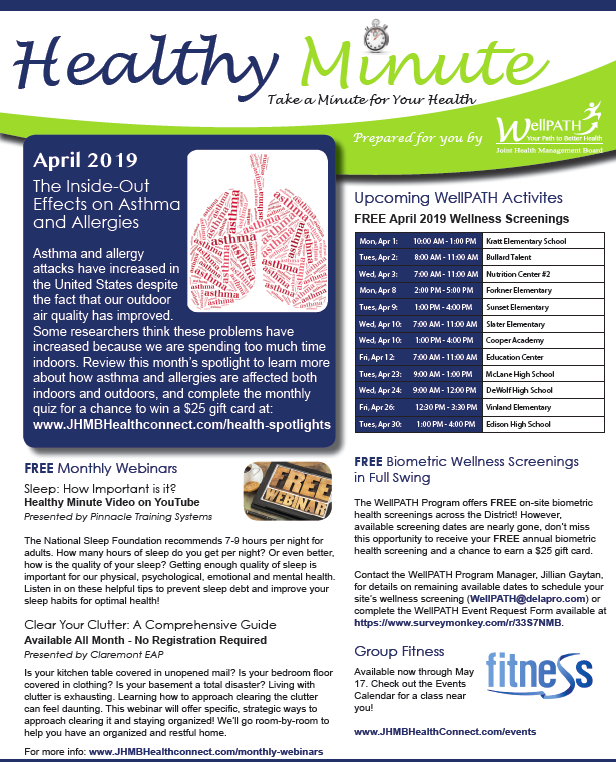 The WellPATH Program is committed to ensuring that the District’s employees have the tools and resources available to take better ownership of their own health. What is a WellPATH Champion? 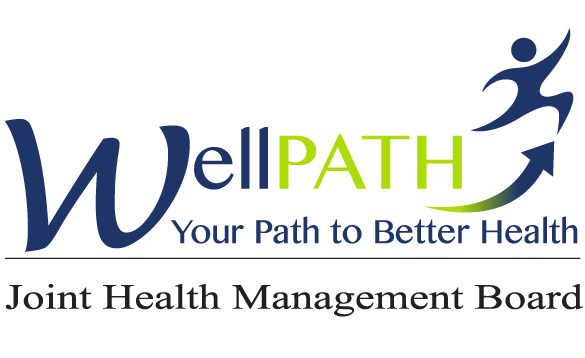 A WellPATH Champion is an on-site ambassador for the WellPATH program who is committed to creating a workplace culture of health and wellness. The WellPATH Champion is integral to the WellPATH program. Creating excitement around leading a healthy lifestyle. Coordinating wellness initiatives at your worksite such as the seasonal influenza prevention program and assist with set-up at on-site events. Promoting wellness programs: distribute materials, post flyers in strategic places at your worksite, and use word-of-mouth to encourage participation in wellness programs and screenings. WellPATH Champions are asked to volunteer for at least one year, and to participate in informational meetings held twice a year. We will meet once every six months and time will be dedicated to recapping what is going on in the program, share ideas and thoughts, learn what is being planned, and discuss the feedback you have received from your co-workers about the program. What Does a WellPATH Champion do? Rewards for Being a WellPATH Champion? WellPATH Champions are encouraged to host events throughout the calendar year. Rewards will be distributed throughout the school year and over the summer months as summer wellness services are included in the final count. Your Wellness Corner should include information about important dates to all on-site or near-site events related to the above programs and any additional health and wellness focused tips, articles, or infographics. The key prevention focus areas for your role is to encourage District employees to: eat well, participate in group fitness classes, stay tobacco free, get screened and immunized and take advantage of no-cost preventive exams. We want to want to recognize our champions for the hard work they do creating a supportive wellness environment at their site. Take a photo of your Wellness Corner – WellPATH Champions are encouraged but not required to be in the photo wearing their WellPATH Champion shirt. How Do I Become a WellPATH Champion? If you are looking for a unique opportunity to help yourself and others to improve health and well-being, please become a WellPATH Champion. Complete the online registration form via the “Sign Up” link below. WellPATH seeks to foster a healthy work environment and engage District employees in their health and well-being. The program assists employees along their path to optimal health through education, wellness activities and resources that support healthy lifestyle choices. At this time, active employees, spouses, domestic partners, dependent children age 18 and over, early retirees and retirees covered under the District’s health benefit plan are eligible to participate in the WellPATH Employee Wellness Program.